This collection of Chrysalis bangles and bracelets offer elegant jewellery options with the choice of personalisation with the birthstone detailing and extra embellishments. A contemporary take on the classic charm bracelet, a Chrysalis bangle is an ideal jewellery gift for a loved one! Each friendship bangle arrives with Chrysalis gift packaging with a charming description of the meaning behind the jewellery piece. The expandable bangles mean that they are so easy to wear and will suit everyone. 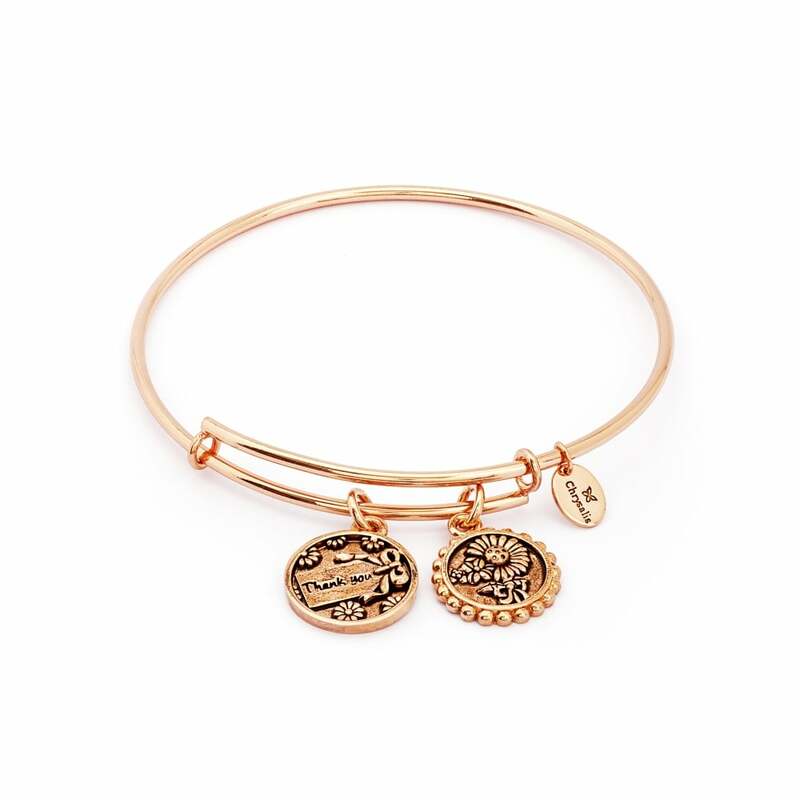 Enjoy the themed bangles and bracelets in this collection that stand for luck, love, friendship and prosperity to name but a few, and choose from various metal finishes, from rose gold, gold and silver. If you’re a fan of the bangle style bracelet then consider taking a look at our full selection of bangles for even more tempting designs from other wonderful jewellery brands such as Troll Beads and Guess. If you haven’t found what you’re looking for with this Chrysalis jewellery collection, then browse our complete range of jewellery for necklaces, earrings, bracelets and rings of all styles to suit every taste. We stock endless jewellery gift options here at Hillier Jewellers so we’re sure you’ll find the perfect treat to spoil someone you love.